I’m a pet lover! I love dogs and cats, except for the terrible fact that I’m deathly allergic to cats. You have no idea how terrible that is, because every time I see a little kitty I want to pick it up and cuddle it to death! My mother has raised dogs for as long as I can remember and little creatures running around the house were just a part of every day life. They were not just animals, but part of the family. Worthy of respect, love and to their dismay, dress-up sessions by yours truly! I can remember as a child, putting my schnauzer into a doll stroller and tying hats around her head and dresses around her body. I look back now and think “oh my gosh, that poor dog”, but if you want my honest opinion, I think she enjoyed the time we spent together! If your a dog or cat lover, like myself, you may want to head over and check out petcentric powered by Purina! When you visit petcentric, you’ll find the most adorable pics and video’s of your favorite, furry friends, games, stories and even “pet inspired” blogs! I just looked at a picture of very furry kitty taking a ride in his tricked out stroller…so cute! You can even fan petcentric on Facebook and follow petcentric on Twitter to keep up to date with what’s going on in the pet world! The Purina ONE Tour For Heroes is helping pets in need from coast to coast. From February 3 -26, 2010, Purina ONE® brand Pet Food will be traveling across the country, stopping at local animal shelters to help pets in need with temporary food banks and adoption events and you can help too! Through March 31, 2010, you can visit MarthaStewart.com/pet-adoption , find and adoptable pet by using the search tool and click to share that pet with all of your facebook friends! But here’s the really cool part: Every time you do this, Purina One will donate $1 worth of pet food to food banks across the country to help feed those pets who need it the most. It’s a win, win situation…your helping to find these amazing animals a loving home and at the same time your helping to keep other needy pets in their home and out of shelters! We know that many of you have your own furry little cuties at home and we want to spread a little love in recognition of how fabulous they are! 2 lucky “Deal”ectible Mommies readers will win Everyday with Rachel Ray Faves, consisting of an Every Day with Rachael Ray tote bag filled with pet-friendly products that have been featured in the pages of Every Day with Rachael Ray Magazine! (ARV $40)! 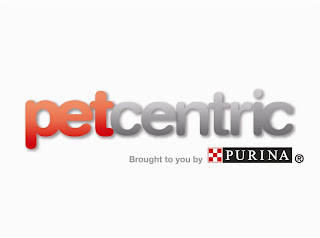 Just visit petcentric and check out the many fun things they have to offer! Come back here and fill out the form below telling me about a favorite article, video or picture you found and your entered to win! 3. Fan petcentric on Facebook! 4. Follow petcentric on Twitter! 5. Subscribe to “Deal”ectible Mommies by Email or Subscribe to my feed. 6. Follow “Deal”ectible Mommies…You can Follow My Blog on my right-hand sidebar! The boring stuff: Open to U.S. residents only. Giveaway will end on February 20th at Midnight! Winner will be chosen using random.org! Disclosure: Purina provided me with an Pet-product filled tote bag. My thoughts and opinions remain my own!